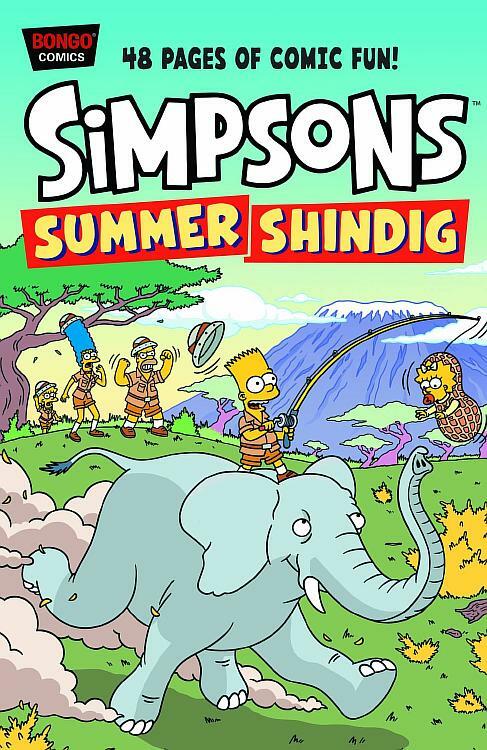 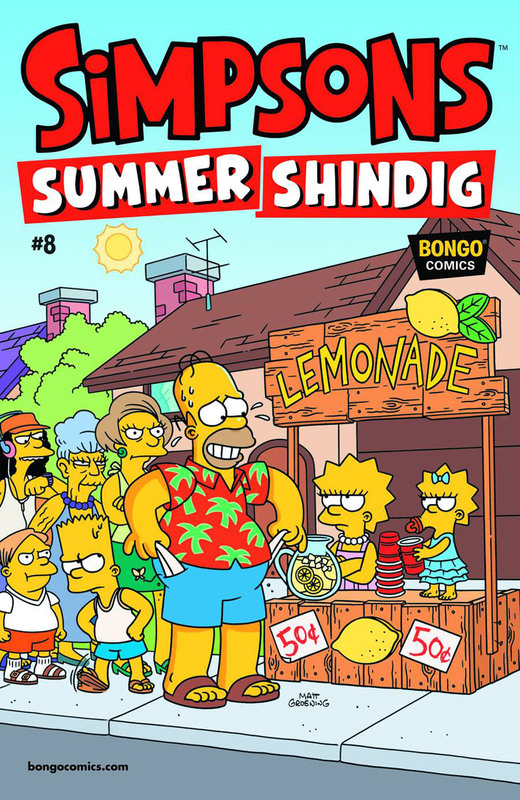 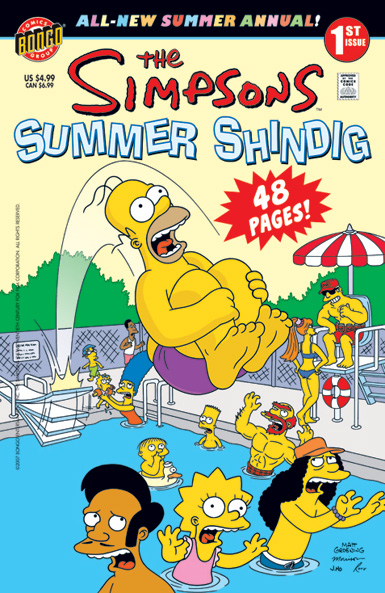 Simpsons Summer Shindig, previously known as The Simpsons Summer Shindig, comics was a short stories comic book series centered on Simpsons in summer, first published in the United States in 2007 by Bongo Comics. 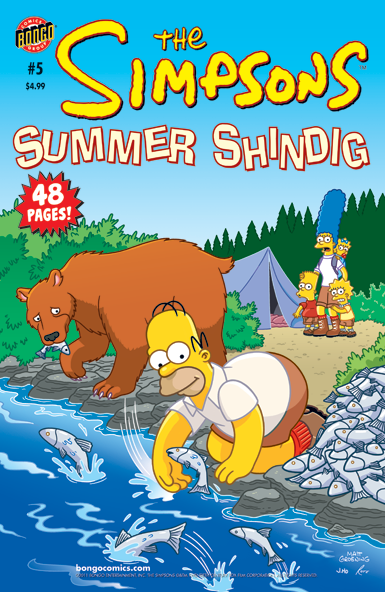 A new issue has since been published every year in May or June until 2015. 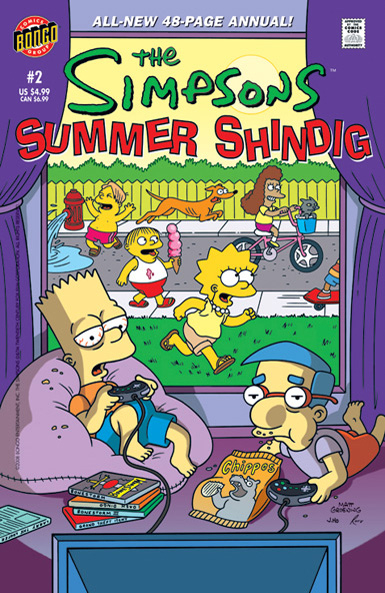 The Simpsons Summer Shindig 2 The Simpsons Au Naturel! 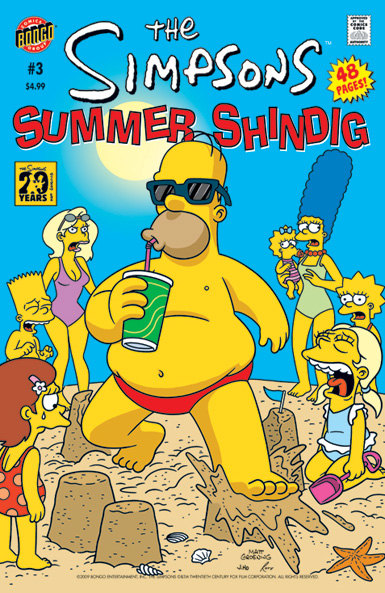 The Simpsons Summer Shindig 3 D'oh, Nuts! 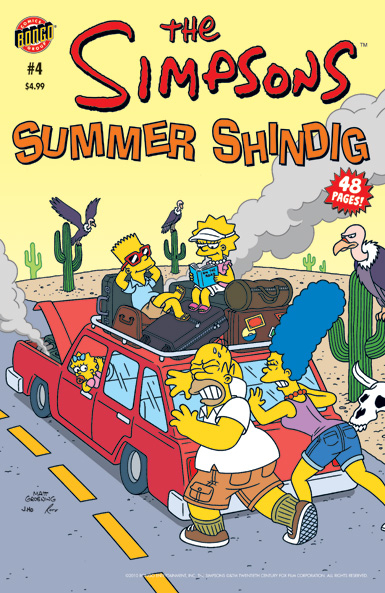 Simpsons Summer Shindig 7 Railroaded! 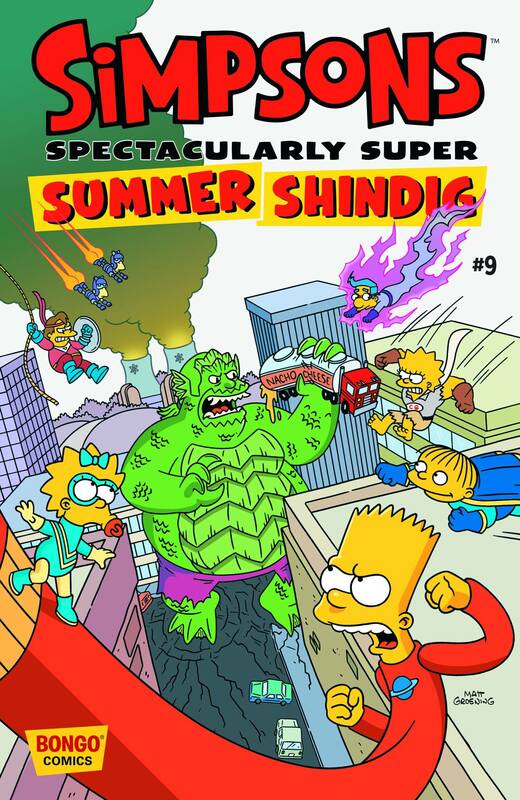 Stretch Bob and Sideshow Clobber! 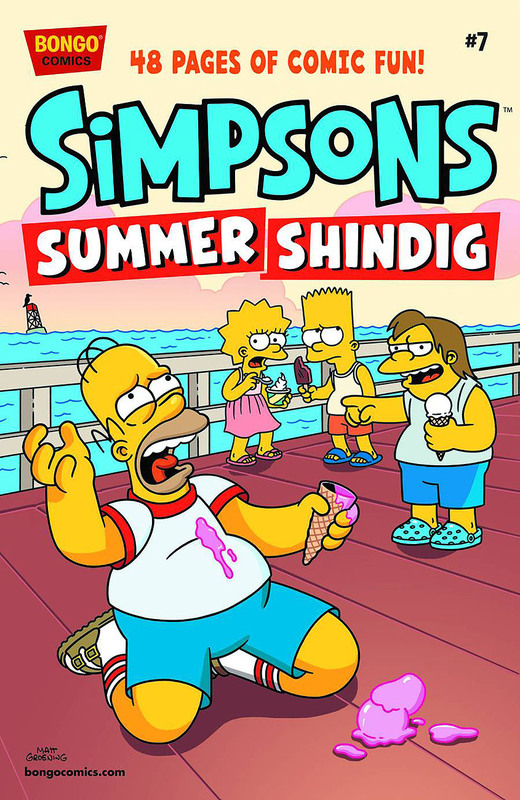 Modified on March 3, 2018, at 10:47.